If you currently have a chronic disease, or at risk of developing one, then you are not alone. Roughly 60 percent of the US population lives with at least one chronic disease such as diabetes, cardiovascular disease, asthma, or a related condition. The good news is that chronic diseases are easy to manage when patients take the appropriate steps to prevent, screen and treat their diseases. So what should you do if you believe you have contracted a chronic disease? How to do successfully keep chronic diseases from developing or intensifying? The first, and possibly most important, step in managing chronic disease is to first get a routine physical. 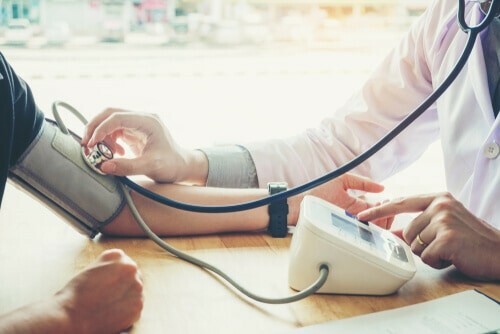 A routine physical, otherwise known as an annual checkup, allows your primary care provider to measure and identify any chronic disease indicators. These indicators may include weight, BMI, blood pressure, and other biometric measures that can determine your risk of a chronic condition. Primary care providers can also make treatment recommendations based on your risk of a chronic condition or if you’re currently managing a chronic disease. They may refer you to a specialist or offer some at-home preventive care tips to help your condition. Ultimately, the routine physical can set you up to plan, manage, and effectively control your chronic condition. If you are sure that you have a chronic condition then make sure to follow up with the appropriate screenings. Scheduling frequent screenings can help doctors catch diseases before they worsen and are helpful to provide personalized care. For example, screening for diabetes may identify the presence of prediabetes which is when your blood sugar level is high enough to indicate a significant risk of developing type 2 diabetes. Prediabetes can be managed and not develop into full-blown diabetes with proper diet, exercise, and lifestyle changes. Preventive screenings are also important to detect developing cancers in the body. Providers can administer specific screenings based on your environmental, age, and lifestyle risk for developing cancers. A woman over the age of forty may get annual mammography to identify possible breast cancers. Conversely, men over the age of forty-five are recommended to get a prostate exam to screen for prostate cancer due to a higher prevalence of the disease in men. One of the most successful methods for combating chronic disease is to maintain a healthy and active lifestyle. A healthy lifestyle includes proper diet and nutrition, regular exercise, and limiting consumption of substances increase cancer risks such as tobacco products and alcohol. However, it may require a lot of work and intuition to change a high-risk lifestyle. Try getting active with community groups, local gyms, and related organizations to improve physical activity. Your primary doctor may also refer you to a nutritional specialist or a behavioral specialist to reduce your consumption of tobacco and alcohol. In addition, coordinate with family and friends on how to improve your lifestyle and prevent chronic diseases. Chronic care and self-management of a chronic disease seems like a lot of work. But working alongside your local medical experts can help you effectively kickstart a plan that keeps you happy and healthy year after year!